I came into the possession of two more Beatles books this week. I wasn’t actually looking for them – they came looking for me. As I’ve posted earlier, we’ve recently visited Vietnam. It was my wife’s birthday this week and so I thought a Vietnamese cookbook might be popular. I went along to my local discount bookshop – but no Vietnamese cooking books were to be seen. However, in the Music section (a frequent haunt) I found these two Beatles “picture” books, both by the same publisher, both in the same format, and both only AUS$7.95 (US$7.28) each. Who could resist? The sub-title reads: “A Unique Collection of 200 Classic, Rare and Unseen Photographs”, and that’s pretty much what this book is. It’s a photographic step through the career in photographs. 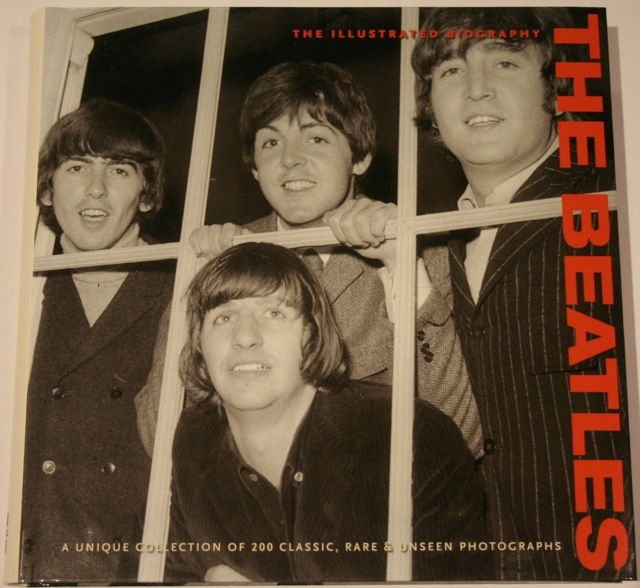 Part One is called “Four Lads From Liverpool”. Part Two is called “The Long and Winding Road”. Text is provided by Tim Hill, Alison Gauntlett, Gareth Thomas and Jane Benn. It’s published by Transatlantic Press in Britain in 2009. 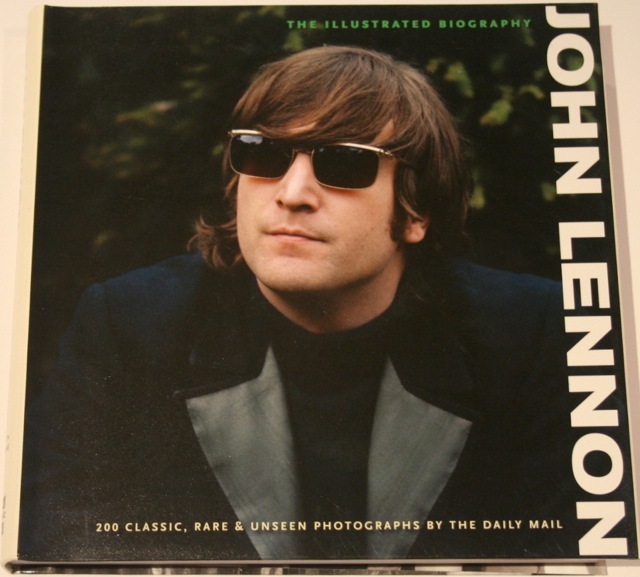 These sorts of books abound – with many of them published in a variety of formats and all using the Daily Mail library of Beatles photographs. This book is no exception. The photographs are all credited to Getty Images, but I suspect they are all pretty much from the Daily Mail archive – just re-packaged. I must say though that this one is nicely presented in black-and-white and in colour, and worth having in the collection. What you can see is a series of two colour shots taken on location in May, 1965 during the filming of the movie “Help”. Clearly the group are in downtime, waiting no doubt for a scene to be lit or some technical problem to be sorted out at Cliveden House in Buckinghamshire. The text talks about the Beatles the previous evening having attended Royal Albert Hall in London to watch a performance by Bob Dylan, whose song-writing was proving to be a big influence on John Lennon at this time. 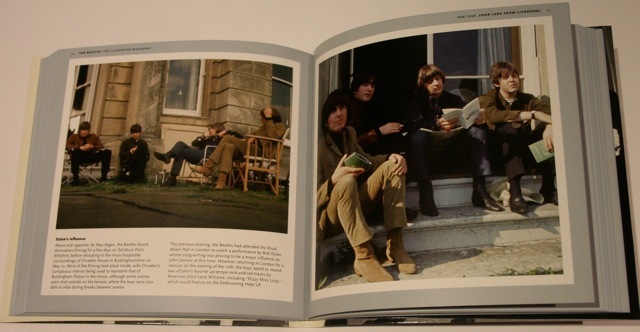 This is in the same format (about 17.5 cm (7 inches) square) as the Beatles book above, and was also published in 2009. 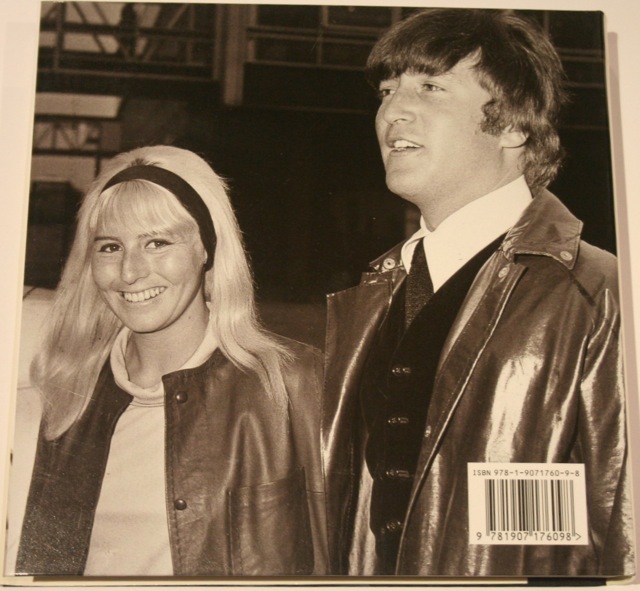 A happy moment (albeit public) between John and his then wife Cynthia Lennon. 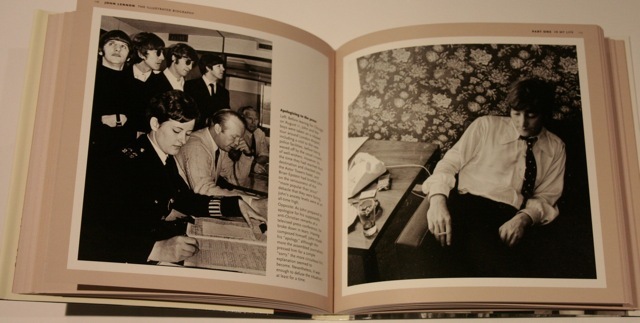 UPDATE: Another Beatles related book (released in August 2010) is Howard Sounes’ “FAB: An Intimate Biography of Paul McCartney”. 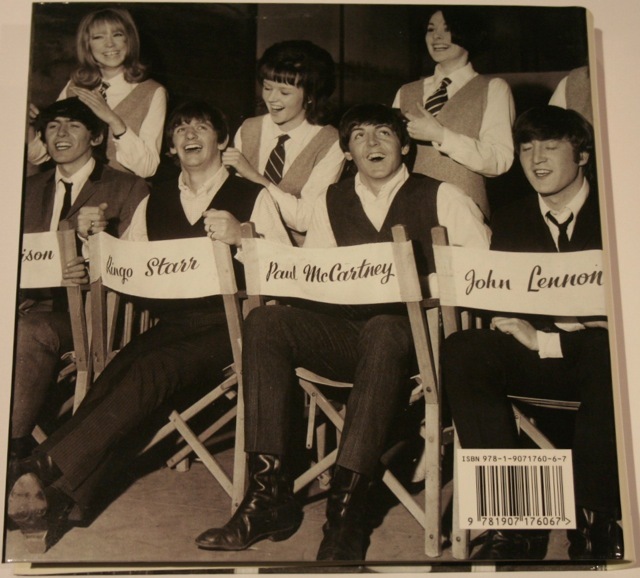 This entry was posted in Beatles, Beatles Collecting, Beatles Related, George Harrison, John Lennon, Paul McCartney, Ringo Starr, Uncategorized and tagged Beatles, Beatles Books, Beatles Collecting, Beatles Related, Bob Dylan, books, George Harrison, John Lennon, Paul McCartney, Ringo Starr by beatlesblogger. Bookmark the permalink.